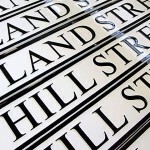 Leander Architectural (& the Royal Label Factory before it) supply and install cast street name plates, cast iron signs, road signs across the UK and overseas. 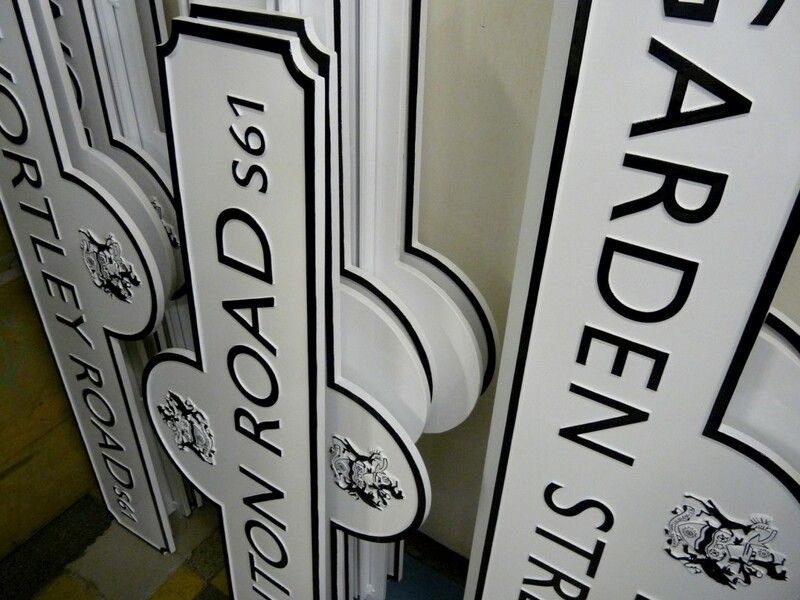 Cast Aluminium and Iron street signs have been produced by us for more than 100 years and many of our early plates can still be found all over the Britain and overseas. They can often be identified by “Royal Label Factory” or “RLF” cast into one corner. 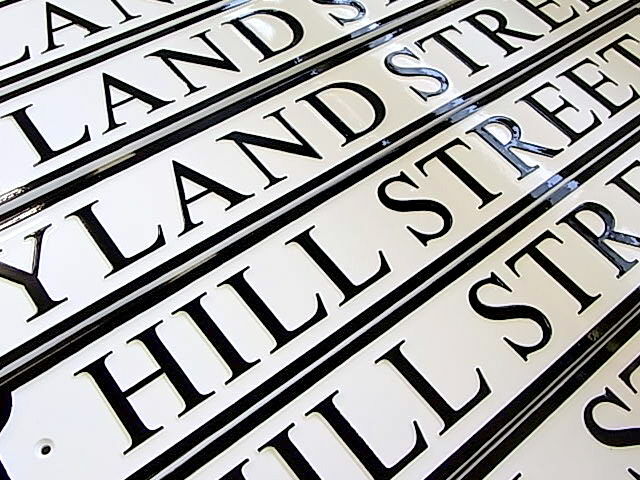 Cast street signs (nameplates) are particularly desirable in new upmarket developments and old town conservation areas where there is always a strong demand for “the real thing”. 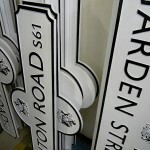 Cast plates have also played their part in upgrading neglected neighbourhoods and districts. 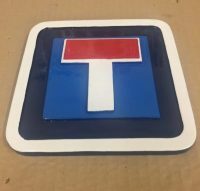 We have retained many of our original nameplate patterns and fonts and can make new nameplates to match surviving originals. 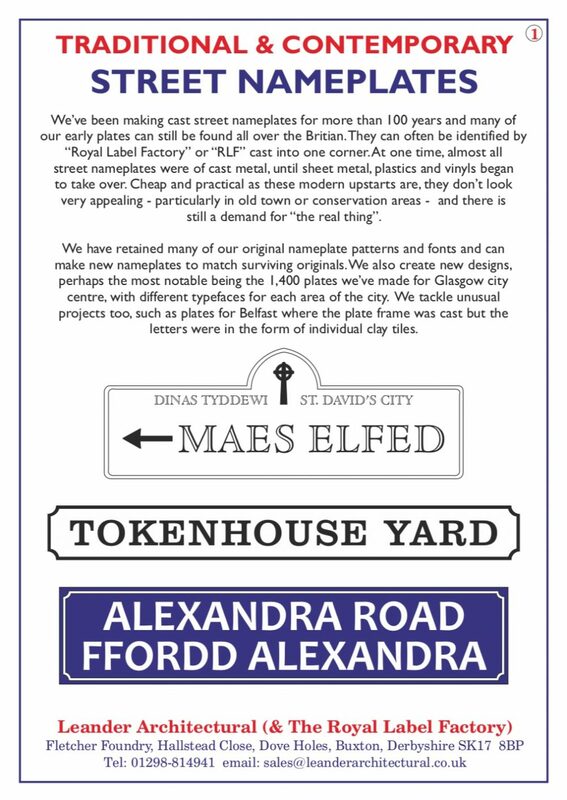 We also create new designs, perhaps the most notable being the 1,400 plates we’ve made for Glasgow city centre, with different typefaces for each area of the city. 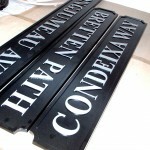 The plates were always to the same design but the typeface changed for each district – City Centre, Merchant City etc. In total, 44 Sauchiehall Street plates were needed to cover every intersection! Like many early nameplates, the Glasgow plates had the lettering and borders in high relief – 5mm – rather than the ‘modern’ low relief of 2 or 3mm. High relief does look good, especially in sunlight when the letters cast strong shadows. 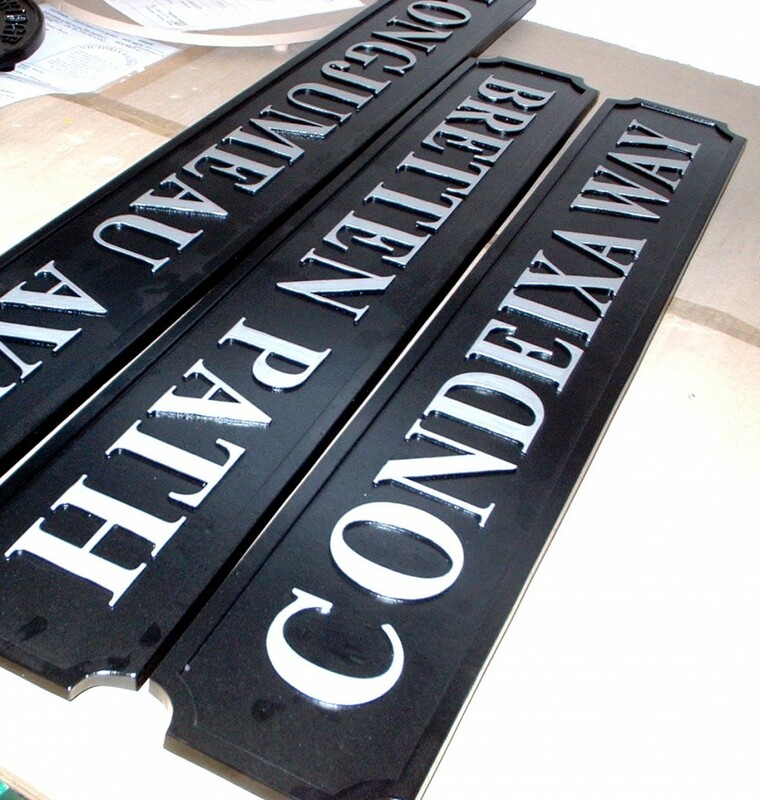 Unusual projects are our speciality too, such as plates for Belfast where the plate frame was cast but the letters were in the form of individual clay tiles. Please feel free to contact us to discuss your projects – big or small!